Due to the success of the ‘HNK-Houthavens’ location at the Van Diemenstraat we were happy to start a new project at the ‘Schinkel’ location in Amsterdam. Central in the concept is the coffee first approach. Which is essential for connecting the residents of the building through using a bar in the heart of the building as a base. 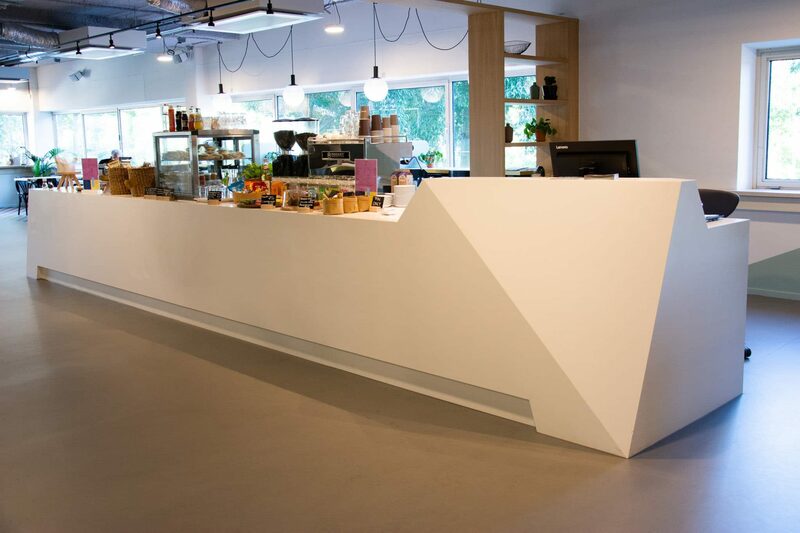 The bar is designed by Ditt Officemakers and is further developed and completed by our team. The coffee first approach implies combining the function of a barista with the front desk service. In our opinion, the essence of hospitality in a collective building lays with mixing important functions and services. For HNK the merge of good coffee and a central point of contact for services is the hospitality key. HNK is a collective building where SME-companies rent their office space. 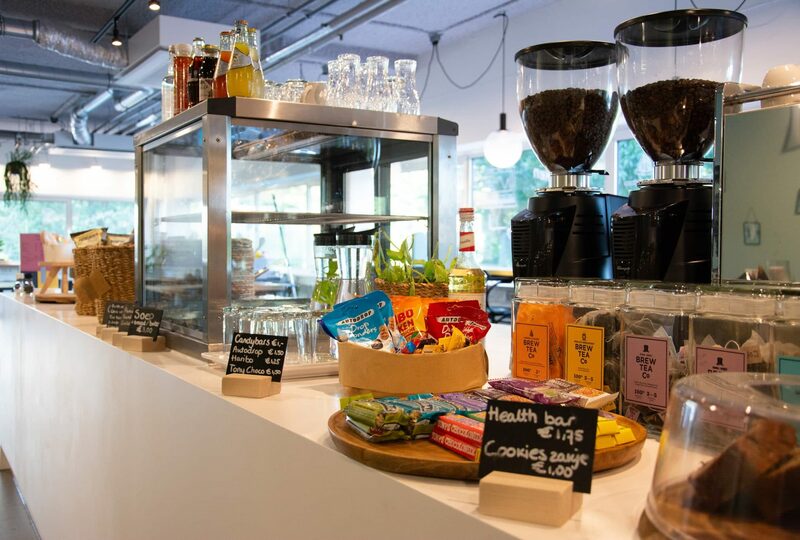 The coffee bar offers service and connects the companies. Due to the barista being also a receptionist, the building is represented by one image. This leads to the personal touch essential for a warm welcome for guests and tenants. The successful elements of the ‘HNK-Houthavens’ location are implemented in both the new design and management. For example, there are small snacks, fresh sandwiches, salads and soups available at a small price. You can visit ‘HNK-Schinkel’ at the Anthony Fokkerweg 1, 1059 CM Amsterdam.